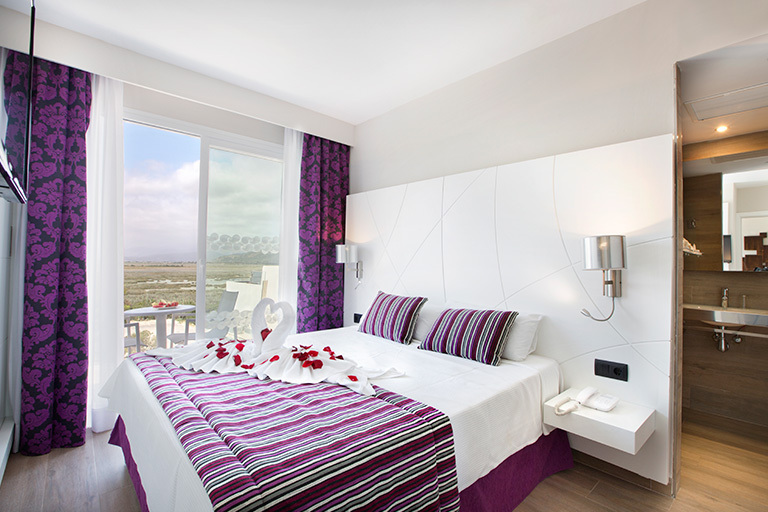 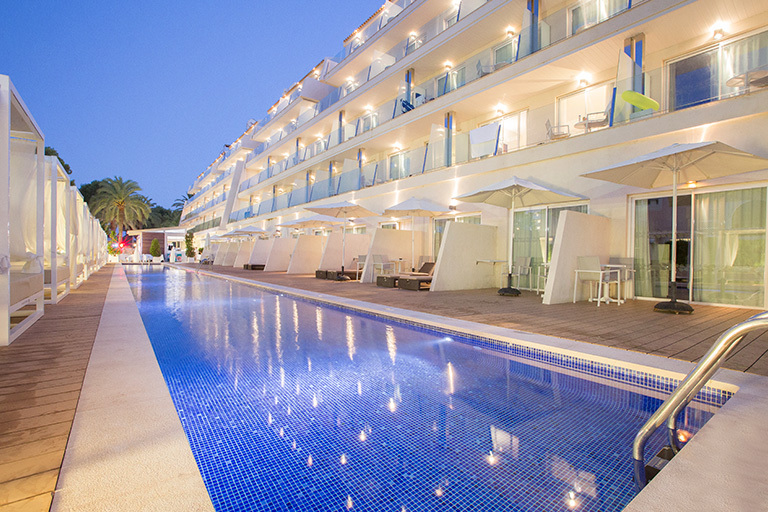 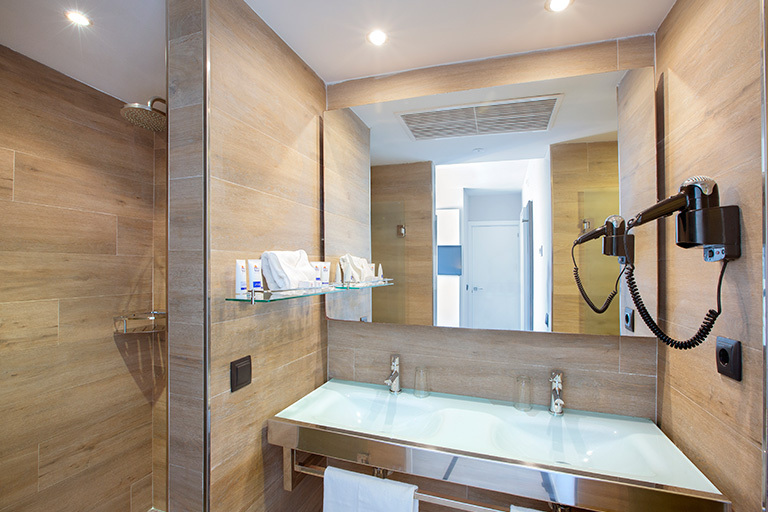 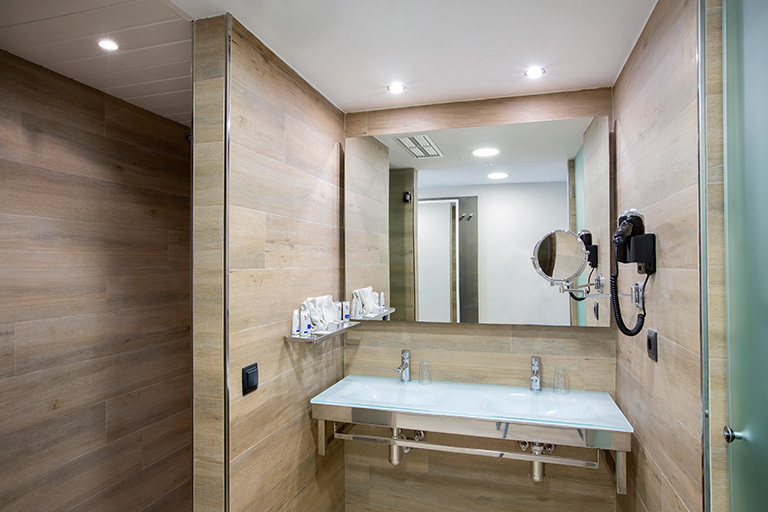 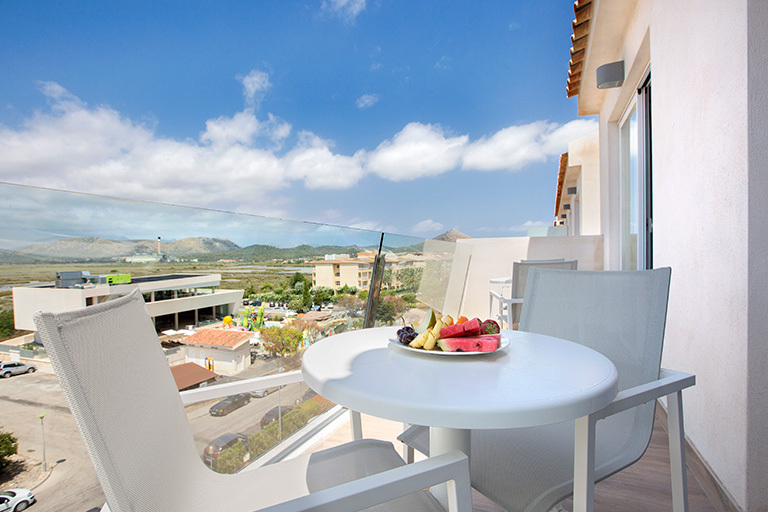 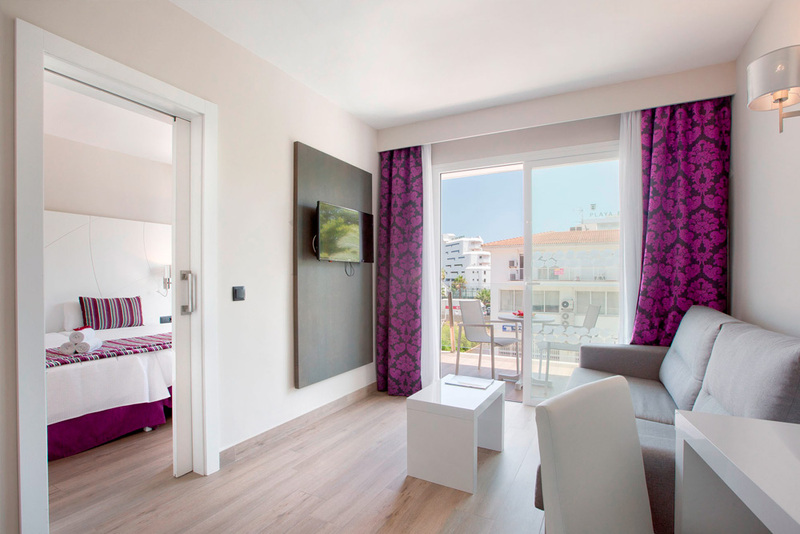 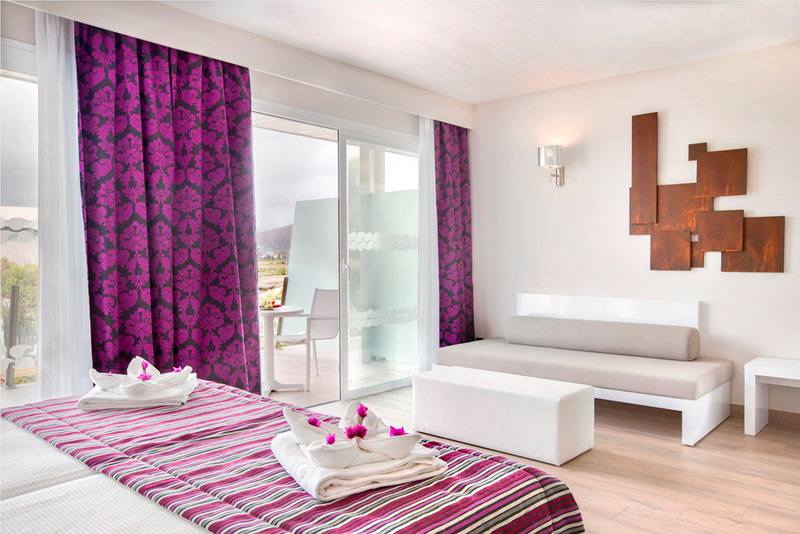 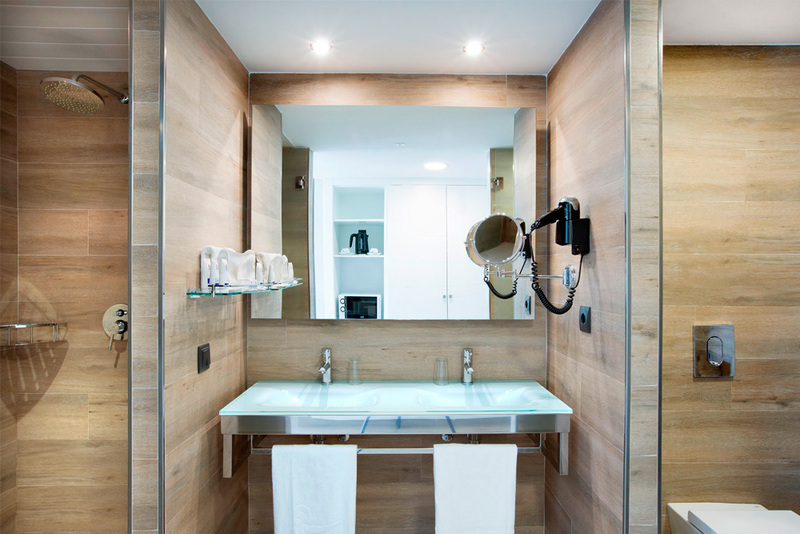 The Mar Playa de Muro Suites has 120 air-conditioned and furnished rooms (64 suites and 56 junior suites). 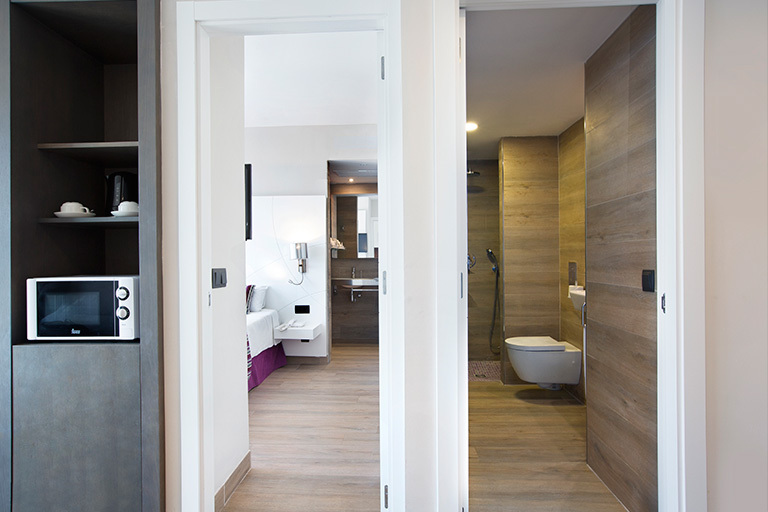 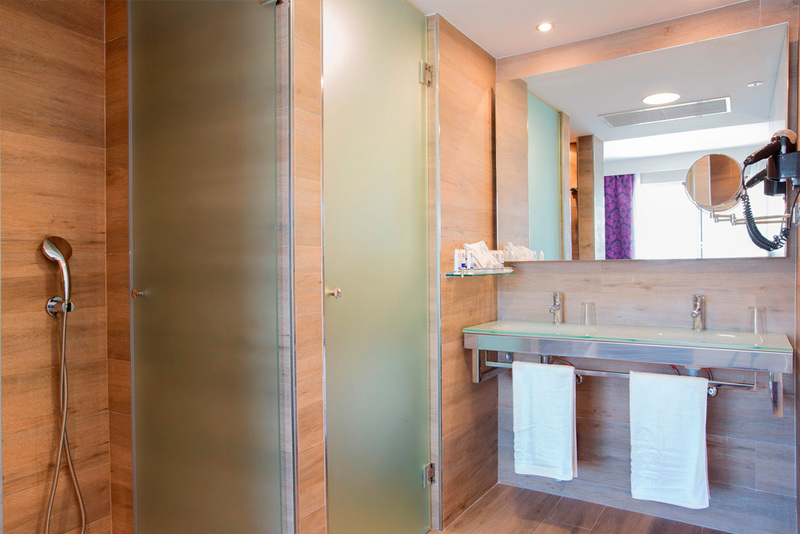 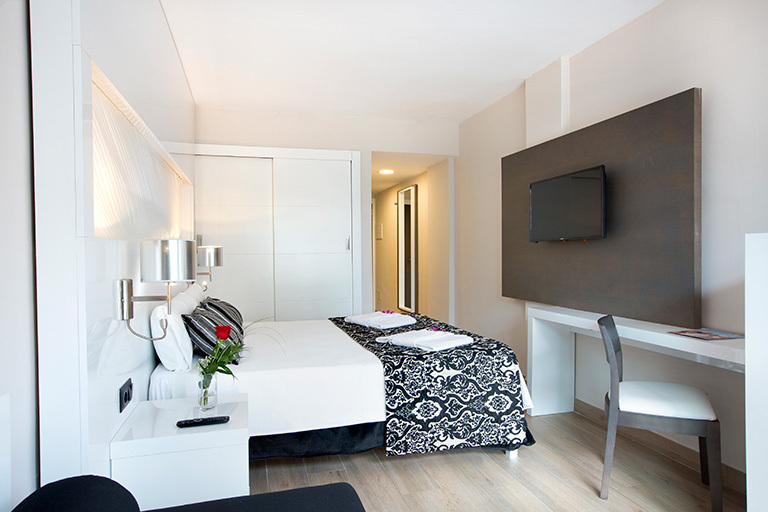 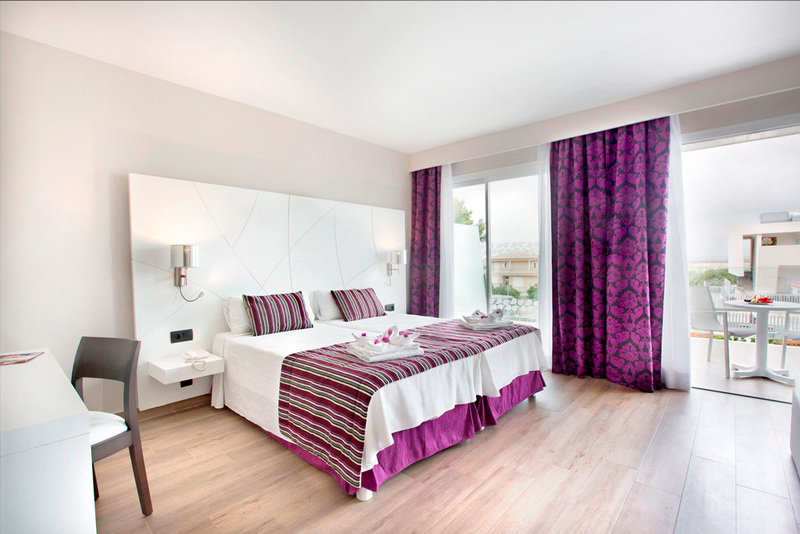 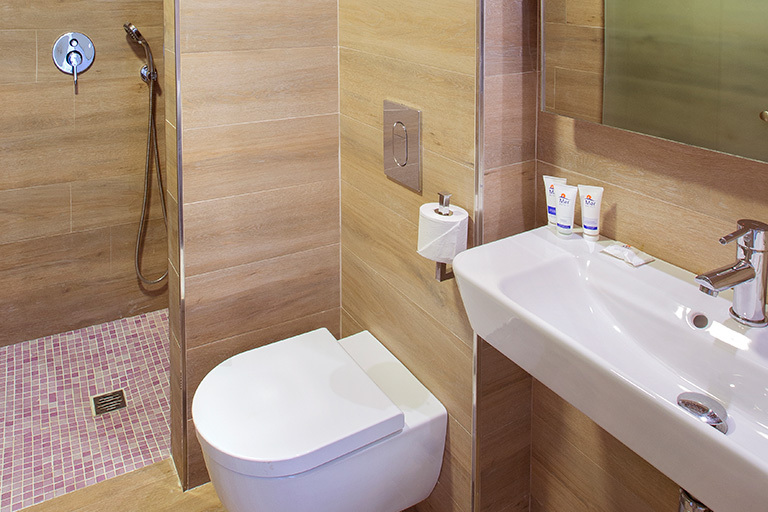 Ideal for two adults, the junior suites are 30 m2 and have a room with single beds, mini fridge, bathroom and terrace. 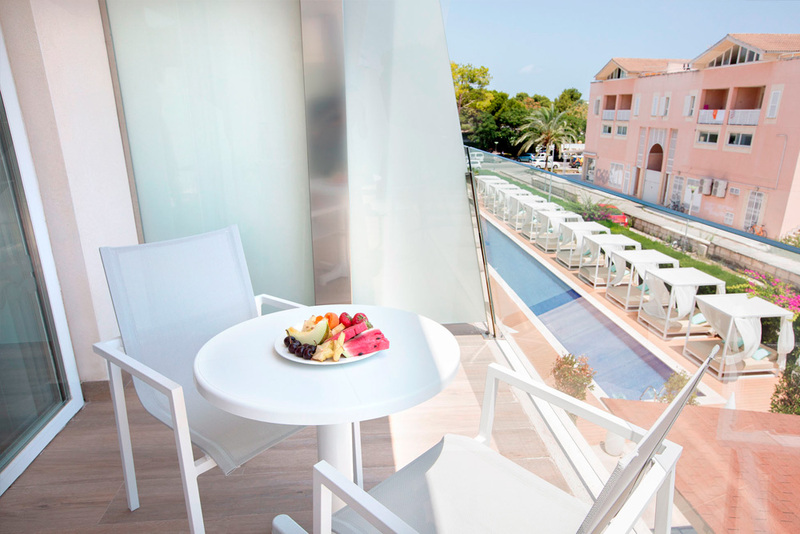 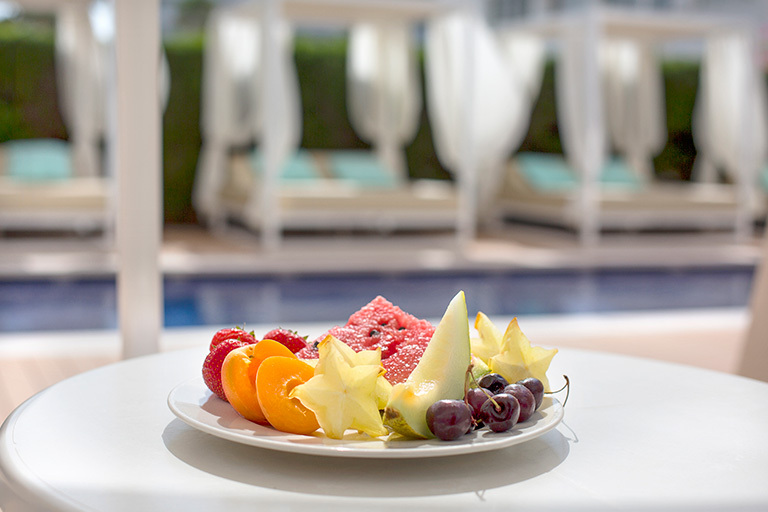 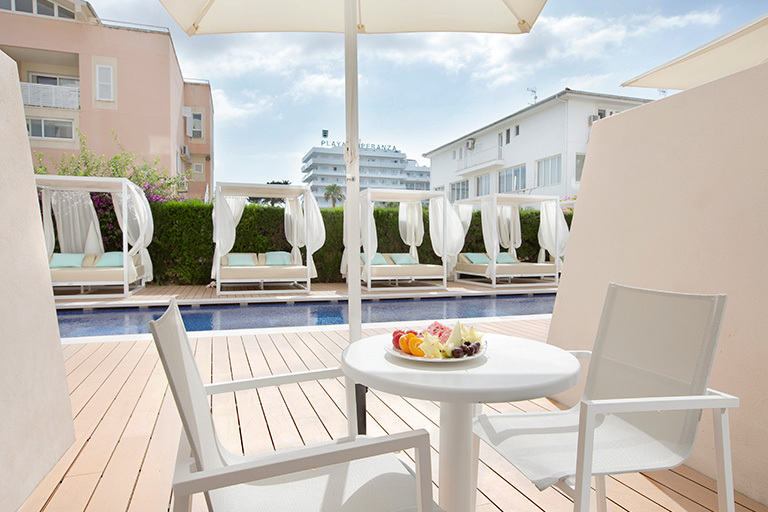 With a ground-floor terrace offering direct access to the aparthotel’s adults-only swimming pool, each 24 m2 Swim-up Junior Suite has a double bed, sofa bed, flat-screen satellite TV, full bathroom and a terrace with a table, chairs, sun loungers and a sunshade. 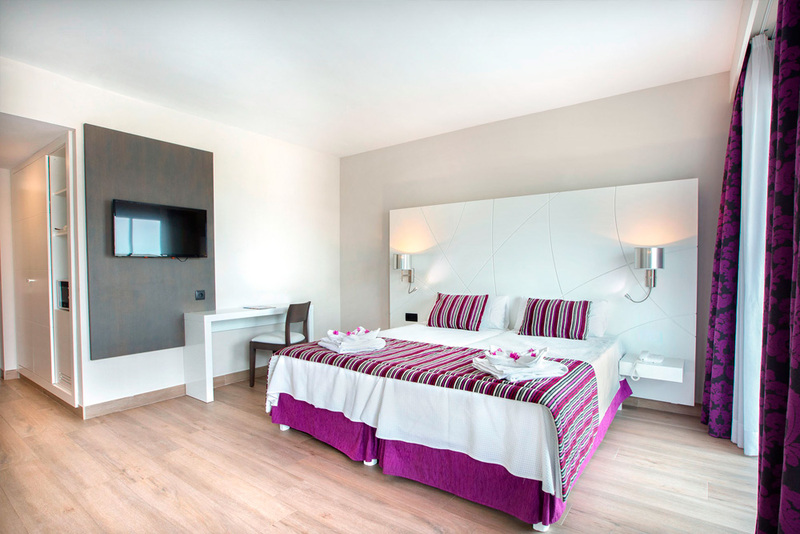 If you are travelling with two children or you want more space, this suite is your best option. 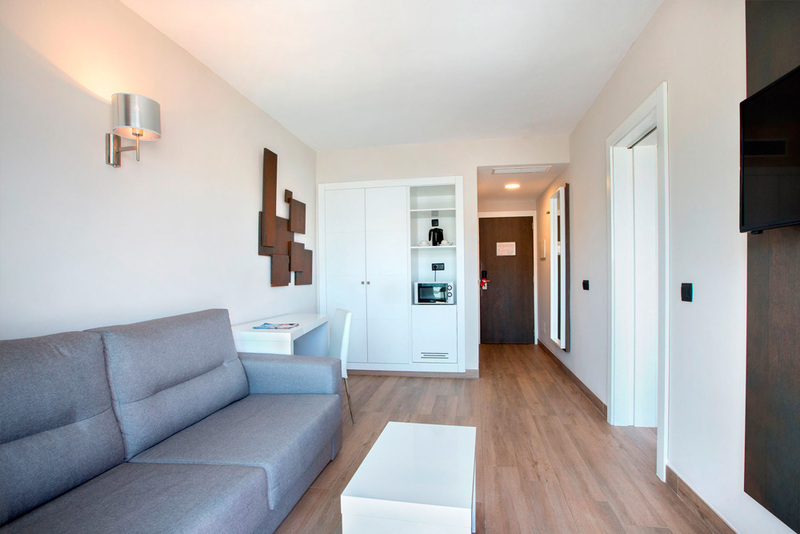 Its 37m2 and sleeps 4 people. 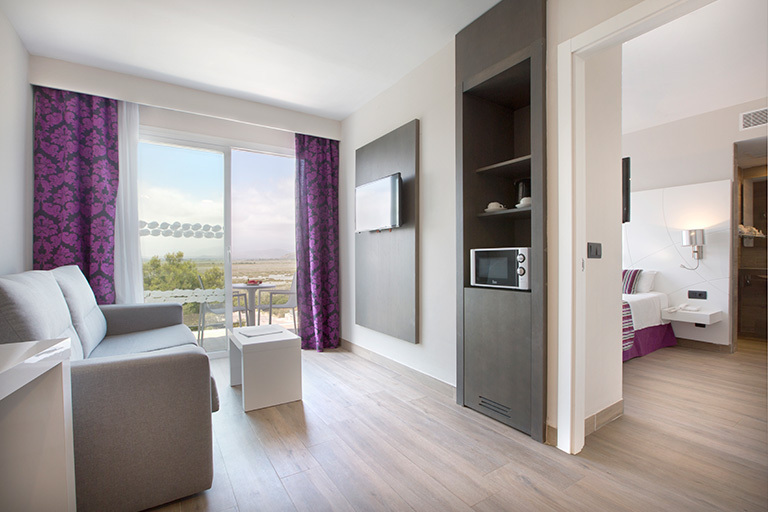 There’s a separate bedroom, living room, bathroom and terrace. 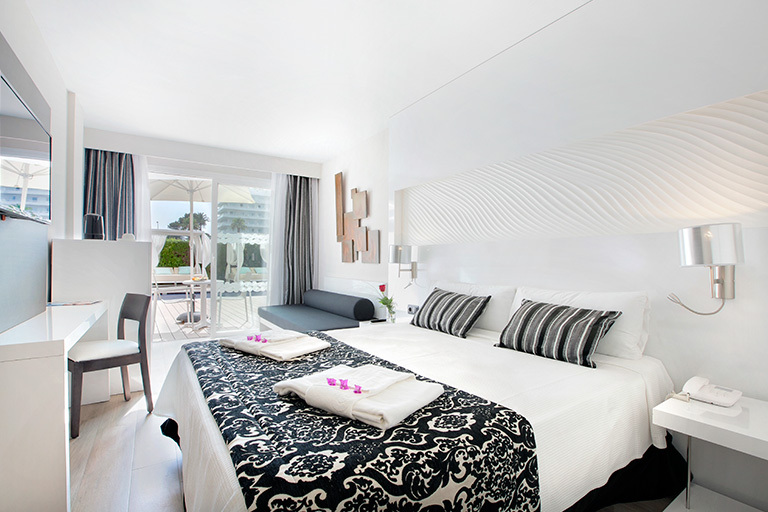 Each 33 m2 Superior Suite has a separate bedroom with a full bathroom and LCD satellite TV, a lounge with a double sofa bed, a full bathroom, LCD satellite TV, plus a terrace with a table and chairs. 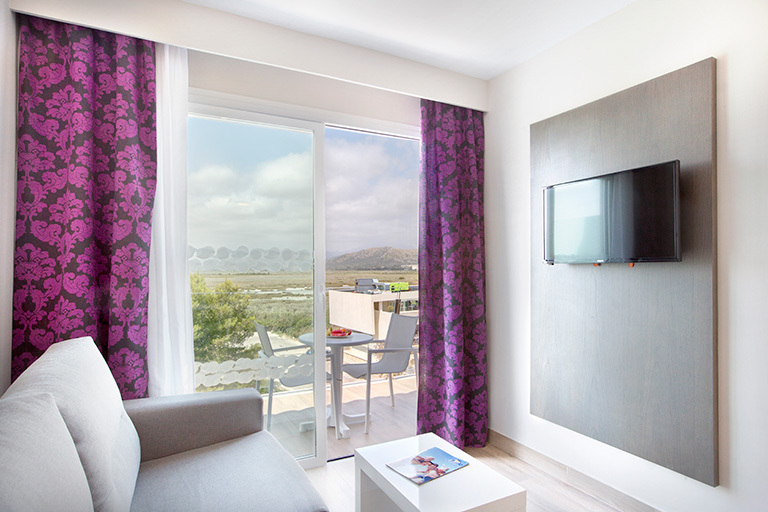 free Wi-Fi and room safe (at an extra charge).